"The art of preserving food is inherent in so many cultures and in recent years fermentation and pickling have become increasingly popular in the UK. These techniques were elevated to an art-form and a trend thanks to such talented entrepreneurs like Kylee Newton, the founder of Newton&Pott. In this very special edition Kylee teams up with KinoVino to celebrate the joys and wonders of pickling. 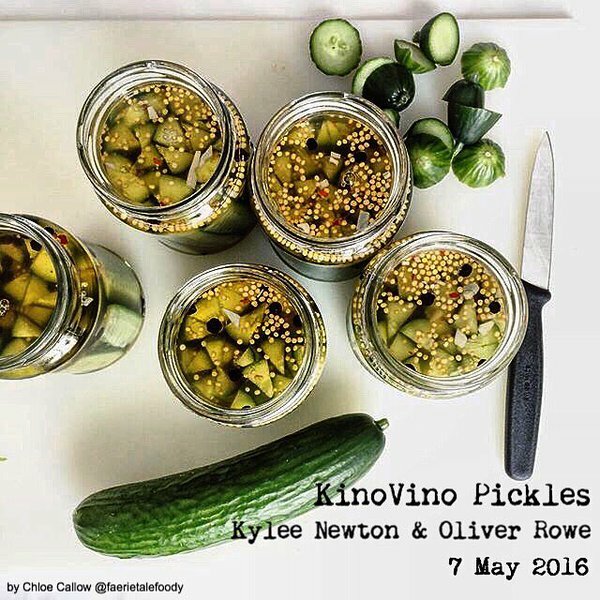 Join us for a screening of a classic New York romcom, Crossing Delancey, a.k.a romancing the pickle, followed by a fabulous dinner curated and prepared by Kylee and one of KinoVino’s favourite chefs, Oliver Rowe. Trust me, together they make an absolute dream team. Guests will be treated to bespoke cocktails featuring Newton&Pott produce as well as special party gifts to take home. You will also get the chance to get a signed copy of Kylee’s acclaimed book ‘The Modern Preserver‘ and treat yourself to more of Kylee’s creations at our special pop-up pickle shop."